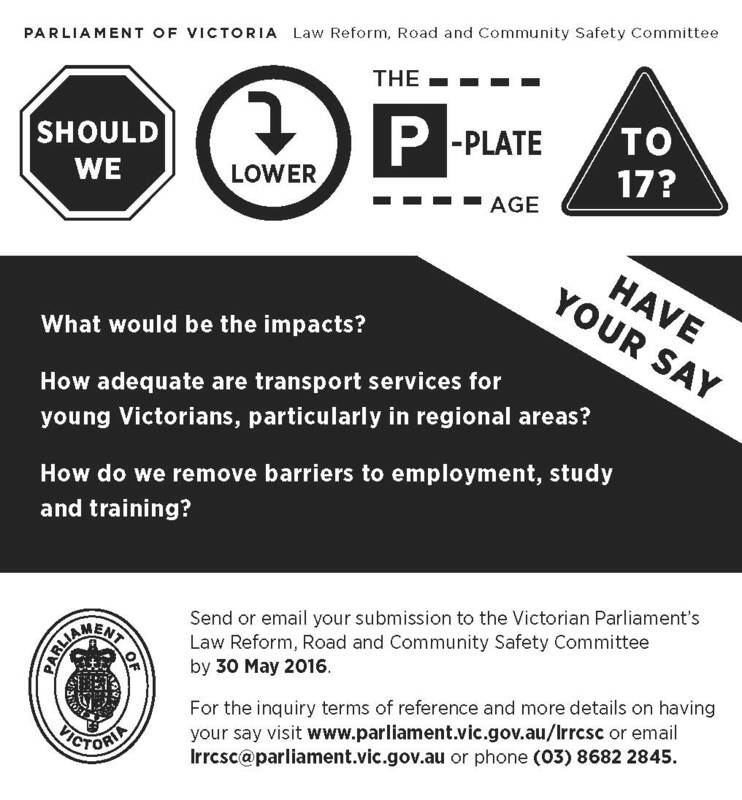 Should Victoria be lowering the P-plate licence age to 17? The Law Reform, Road and Community Safety Committee is asking that question as part of a new public inquiry. The Committee wants to find out what the impacts could be of reducing the driving age. Could a lower P-plate age assist young people access employment, study and training? Would a lower driving age affect the road toll? What other impacts might occur with a change in licence age? “We want to hear from the community on this issue,” said Committee Chair Geoff Howard. “Other Australian states and territories have a minimum age of 17 for P-plate licences and we want to find out whether Victoria should be matching that minimum age,” he said. As part of the inquiry, the Committee will be considering the adequacy of transport services for young Victorians, particularly in regional areas. As well as advertising its call for submissions in the general media, the Committee will be using social media to inform people about the inquiry and encourage community input to it. “It’s important we reach out to young Victorians through the channels they use,” Mr Howard said. Written submissions are due by 30 May 2016 and public hearings will then be held in Melbourne and regional Victoria. For more details, visit the Committee’s website.